The Seoul Summit had just concluded, but his reverberation will be long standing. Everybody is agreeing that we are witnessing just the beginning of an international custom on managing nuclear weapons and nuclear security. Seoul Summit, if it was not exceedingly rich on international regulation, had offered instead a successful model of nuclear security management, of relinquishing the illusory security offered by nuclear weapons in exchange for a world commitment to his security: Kazakhstan. 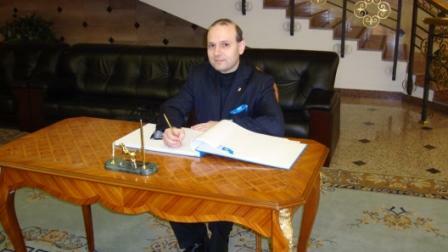 Professor Dr. Anton Caragea during his visit in Kazakhstan. 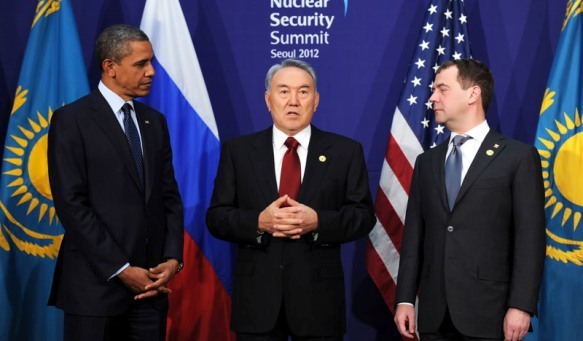 The world leaders have showered praises on the Central Asian country and his leader-Nursultan Nazarbaev ,top of the list being United States President, Barack Obama, who described Kazakhstan as a model for the world and express his support for the country`s bid to host the International Nuclear Fuel Bank . In this moment, when we are confronted with an insufficient legal framework on nuclear security, the need for a successful example to be offered as a way out for the countries that had pursued or are pursuing a program for nuclear military development it is clearly marked. Kazakhstan is, undoubtedly, the success story of nuclear disarmament : dismantling an impressive nuclear arsenal inherited from Soviet Union ,with more than 1.000 warheads, prohibiting nuclear experiments on Semipalatinsk polygon and in exchange obtaining security guarantees and international recognition of his borders . In today world Kazakhstan and the architect of this enlighten policy: President Nursultan Nazarbavev had a long track record of achievements. Among others unremitting exertion for the nuclear disarmament Kazakhstan joined the “Group of Eight” (G-8) Global Partnership against the spread of weapons of mass destruction and ratified the 2005 Amendment to the Convention on the Physical Protection of Nuclear Material (CPPNM) to bring it into force by 2014 and successfully hosted the Conference of the Global Initiative to Combat Nuclear Terrorism” . 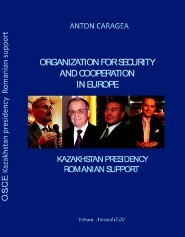 If to this list we add the impressive achievements of Kazakhstan Presidency to Organization for Security and Cooperation in Europe, the hosting of the first high level OSCE Summit in Astana in 2010 and the lavish and profound transforming Chairmanship to Organization of Islamic Conference we have the complete picture of a country determined to leave his mark on international arena. Kazakhstan had not fall asleep on the laurels already won and President Nursultan Nazarbaev already used his country high standing to promote a regulation package destined to offer the possibility of further development of use of nuclear energy for peaceful purposes such as: the adoption of legally binding nuclear safety standards, the establishment of mechanisms for rapid response in case of emergency at nuclear facilities, and the granting to all states of an equal access to peaceful nuclear technology and supplies of low enriched uranium (LEU), including through an International Nuclear Fuel Bank. 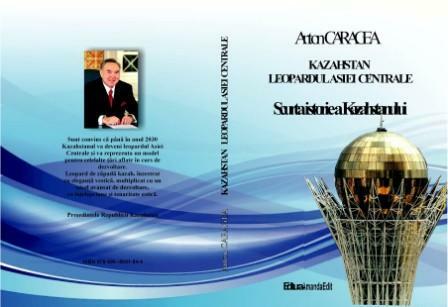 If the world will support Kazakhstan in sharing this lesson, than the mankind could have a chance for a better future. 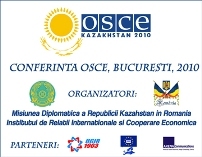 This entry was posted on Thursday, April 26th, 2012 at 8:24 am and is filed under Economy, History, Information, Neutrality, News, Organization for Security and Cooperation in Europe, Politics, professor Anton Caragea , President of European Council on International Relations , European Council on International Relations, Anton Caragea president of European Council on International Relations, Tourism. You can follow any responses to this entry through the RSS 2.0 feed. Responses are currently closed, but you can trackback from your own site.